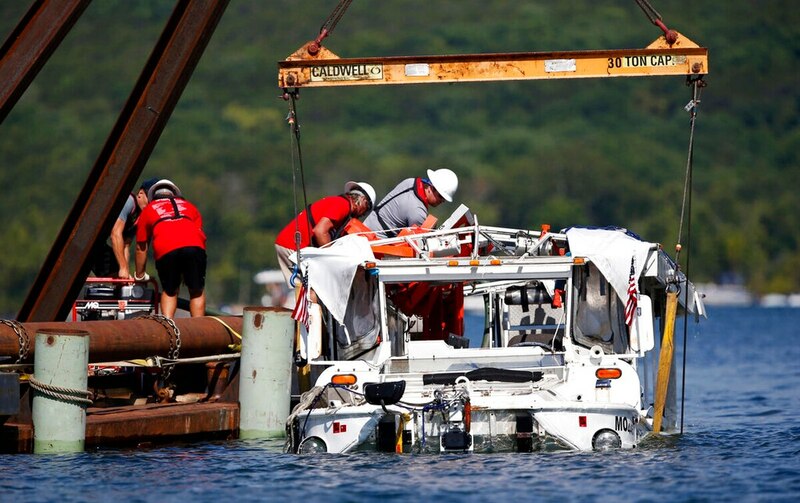 Did the duck boat operators ignore weather warnings and consultants who warned the vessels' design was dangerous? For nearly 50 years, tourists have toured the Branson area on refurbished amphibious vessel originally used by the military during World War II, with Ripley purchasing the duck boats in 2017. The company suspended operations after one sank during a storm in July. Those killed were from Missouri, Indiana, Illinois and Arkansas. Orlando, Florida-based Ripley faces several lawsuits alleging that it launched the doomed boat despite warnings of severe weather. The boat’s captain was indicted on 17 counts accusing him of failing to tell passengers to put on flotation devices or prepare them to abandon ship even after waves crashed into the boat. Ripley does not have duck boats anywhere else.